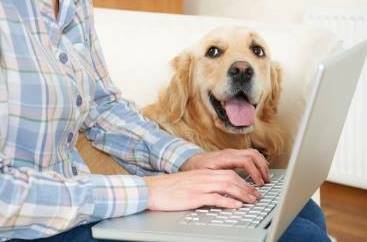 My name’s Jill Matthews and I followed a life-long dream and set up a business with pets. I’ve been a pet-lover ever since I was a small child and have been taking care of pets for years, both my own and other peoples’ when they are away on holiday. My childhood was spent in East Africa, returning home to the farm in the UK in the ’70s when my life filled up with dogs, cats, horses, cattle, sheep, chickens, rabbits and guinea pigs. I later went to University in Wales to study Biology and went on to become a Biology teacher. This gave me the means to emigrate to beautiful Queensland in the early 1990’s. 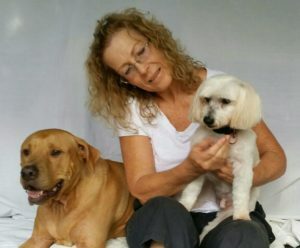 I’ve been in Cairns over 25 years now and opened up my grooming business Smooch a Pooch Dog Grooming Salon and School in 1991. I’ve enjoyed a long and happy career grooming all the ‘hot’ dogs and cats in Cairns. Smooch a Pooch also offers Dog Grooming Courses. 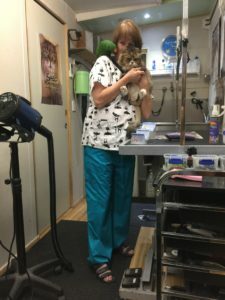 I really wanted to use my teaching and grooming skills to help people take better care of their pets, or to help passionate pet lovers to make a living in the Pet Industry as a Groomer. I started the school at the beginning of 2015. Ziggy is the dog in the picture who found me in 2011 just before Cyclone Yasi came to Cairns. He is my little ‘off-sider’ and will come with me to groom your pet and will be in the classroom with us in the Grooming School. We now have a Grooming Salon at 8 Denbeigh St, Parramatta Park, (near the TAFE). Sharon is one of Smooch a Pooch’s amazing students of 2017. She has set up a salon under her house and offers a very superior, high standard grooming service. 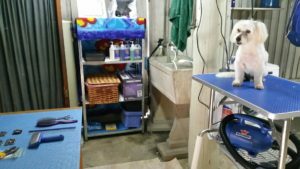 She is very meticulous and will spend hours with your precious pooch, making sure that every grooming need is attended to. She even works weekends, for the convenience of you lucky M-F 9 to 5’ers..! Prices and Services for the City Salon and the Mobile Service are the same. 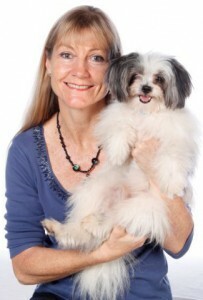 Louise Moylam operates her Grooming Salon from Smithfield, Cairns. 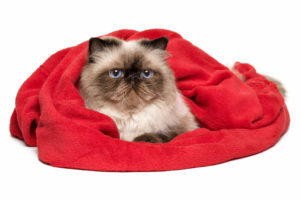 Louise’s business name is Pampered Pets and she offers: Cat Grooming and Clipping, Small Dog Clipping and Pet Homestay. She is our Cat grooming expert. She is also a bird expert and will take care of and re-home all pet birds. She welcomes all animals in to her home and offers boarding for small dogs (max. 2 small indoor dogs), cats and birds.